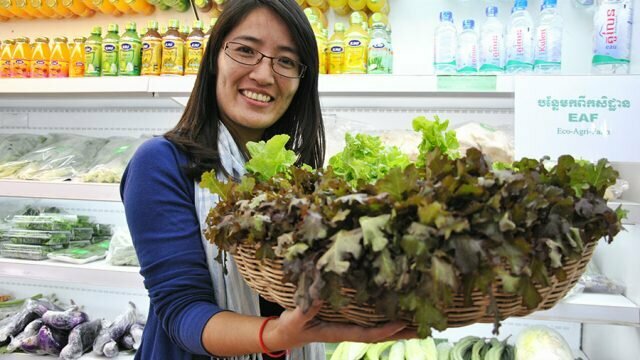 Phnom Penh residents start changing their behavior from eating normal vegetable and fruits which contained chemical residue to consume organic products. Though the prices of organic products are higher than the normal products, some people still prefer to eat since they know these products are good for health. 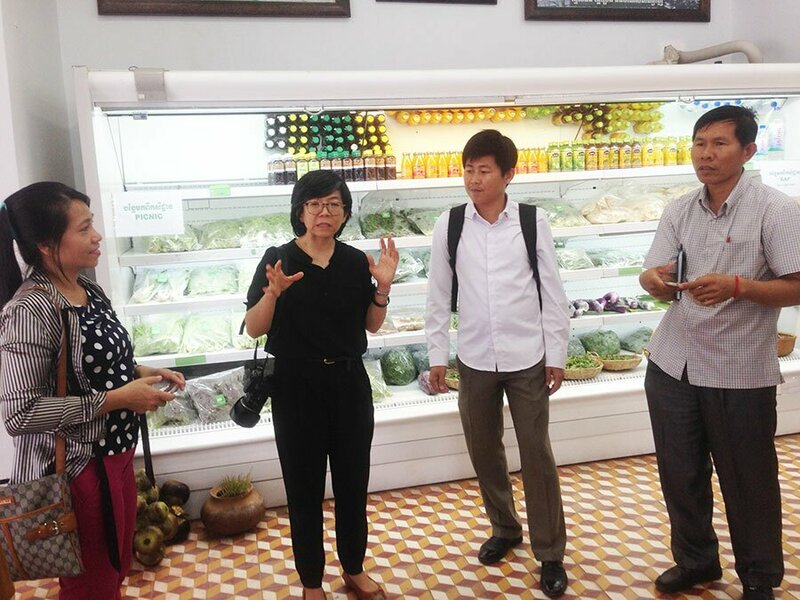 “The sales volume of vegetables and fruits has increased from 100kg a day to 300kg a day,” said Canady Mao, an Assistant Director of Khmer Organic Cooperative (KOC). 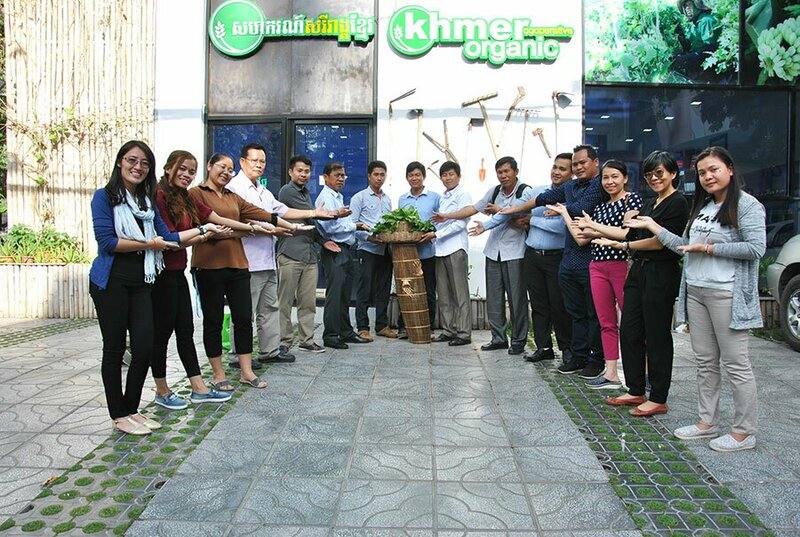 In respond to the increasing demand from buyers, KOC start doing contract farming with 20 local farmers in Kampot Province. This will help to improve the income generation of the farmers and to ensure the products quality meets the organic standard and the quantity meets the demand of the market. 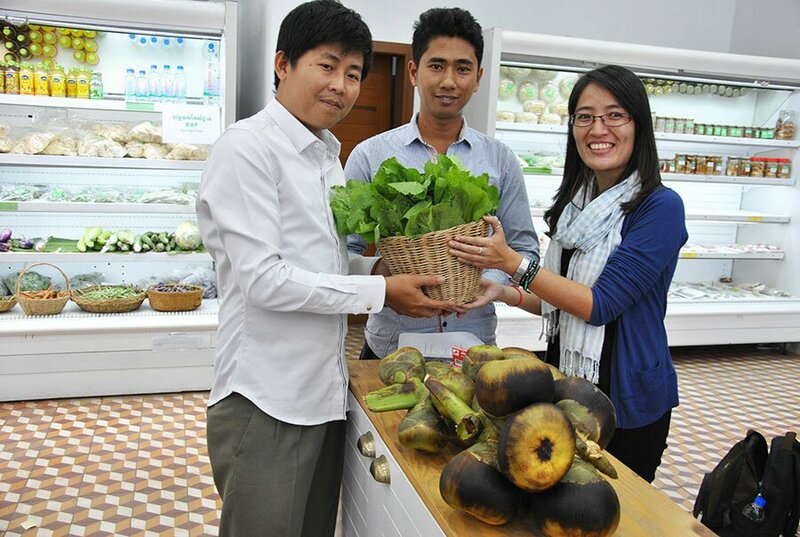 Until now, there are around 100 different types of organic products for sale at the KOC shop. “Most buyers come here to buy organic vegetables even though the vegetables do not look good from the outer appearance and have higher price,” said Ms Mao. KOC also has the strategy and plan to enlarge the scope from working with 20 farmers to many more farmers in other potential provinces. Moreover, KOC is also working collaboratively with community and non-government organizations to promote community’s products. Those products are composed of leafy vegetable, fruit vegetable and processing products. 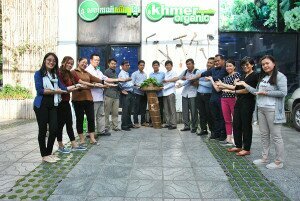 “Applying organic farming method is not only a way to generate income, but it is also good for human health because we eat safe food,” said Mr. Ieng Sotheara, a Founder of KOC. The story and photos are outcome of a workshop ‘Impact Story Writing and Basic Photography’ for project staff of Improvement of Livelihood and Food Security of Landless and Land-Poor Households, ASEAN Sustainable Agrifood Systems (ASEAN SAS), and their partner, Khmer Organic Cooperative. The workshop was conducted in Phnom Penh, Cambodia from 14-17 February 2017 and attended by 14 attendees. ASEAN SAS Communication Officer provided the training. By Phen Chhunhak and Lum Sereykut, Improvement of Livelihood and Food Security of Landless and Land-Poor Households and So Saody, ASEAN Sustainable Agrifood Systems.